We love this new find so much that we thought of keeping it to ourselves, but Bells & Becks is too good not to share. Curated in San Francisco and hand-made in Italy, their designs are made for the modern woman who is looking for quality and timeless styles with just a bit of something extra. 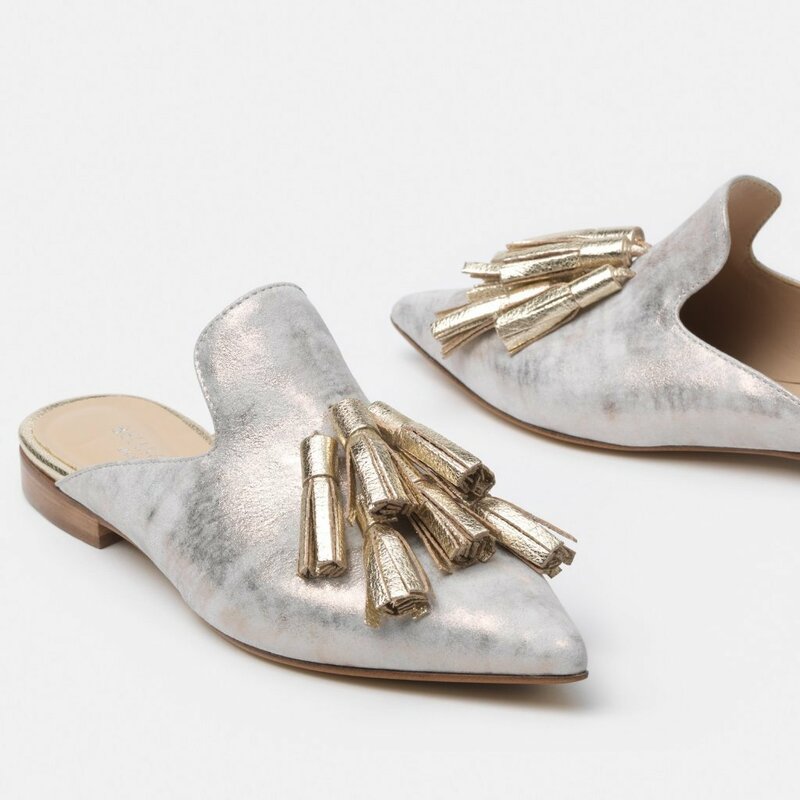 Like gold tassels on a slip-on loafer . 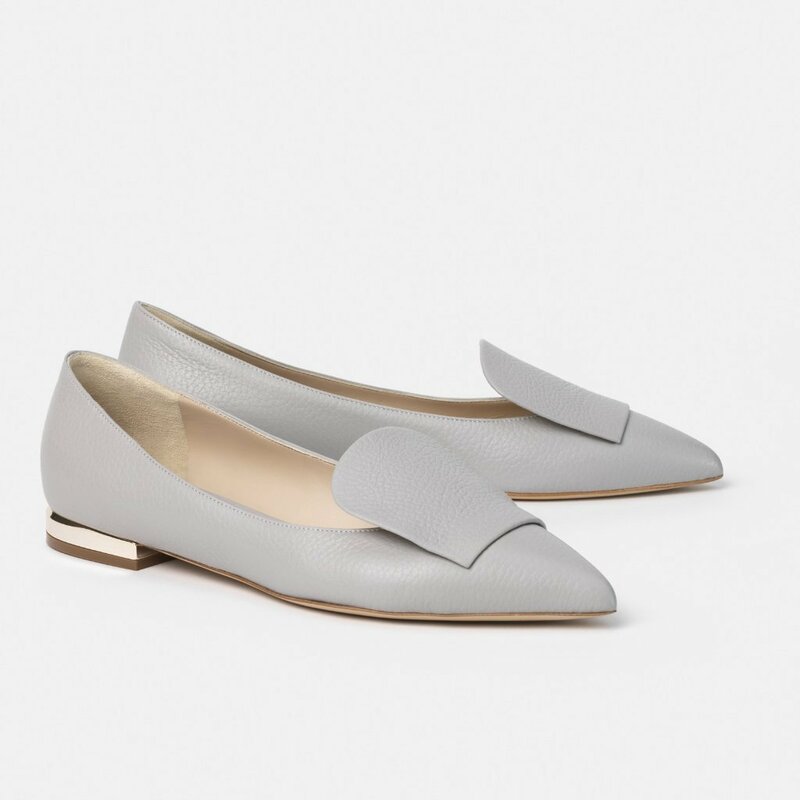 . .
A touch of gold on the heel of these work and play appropriate flats . 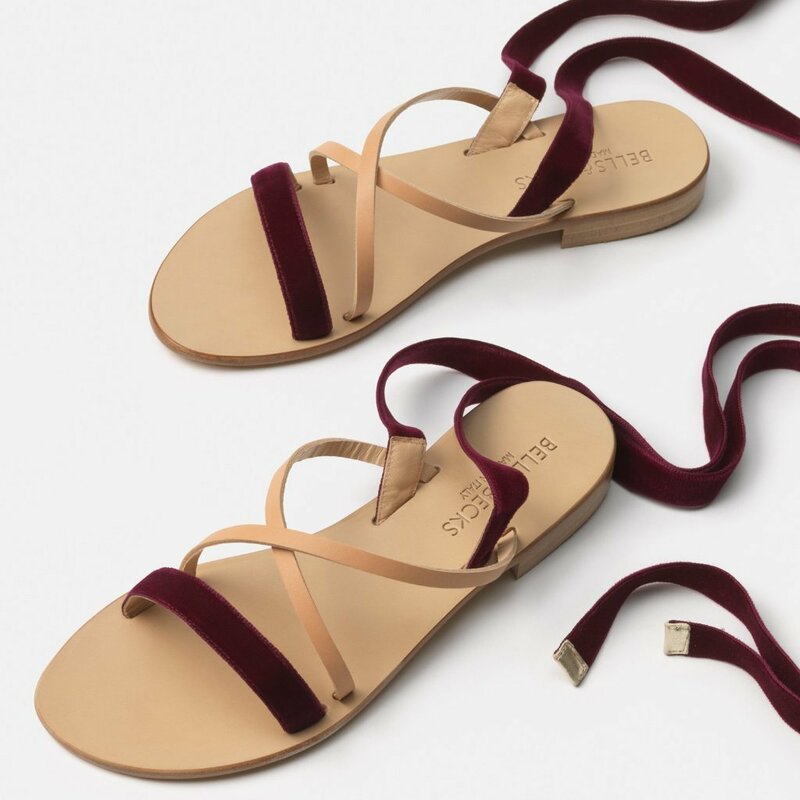 . .
A combination of natural leather with wine colored velvet straps . . .
Click on photos for sources, and shop Bells & Becks to see all their styles.